I have not seen this Angry Bite chips here. 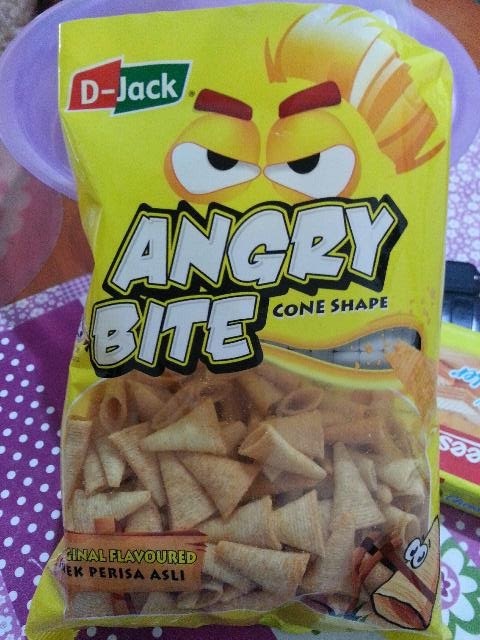 Ahahhaha...this is very angry chips. Yea, I also refrain my children to snack so I have not been eating in often until lately I have been snacking a lot. I do share with them but with limited quantity a day. I too love to munch on chips once in a while. So far I have not seen this Angry Bite chips or maybe I was not looking for them. My children also like it, will not be angry went consuming. Something new to me. :) Snacking once in a while is fine by my books.